The testo 6351 pressure transmitter for differential pressure enables measurements in the 50 Pa to 2,000 hPa measuring range. A particularly outstanding feature of the transmitter is the automatic zero-point adjustment, which ensures high accuracy and long-term stability. 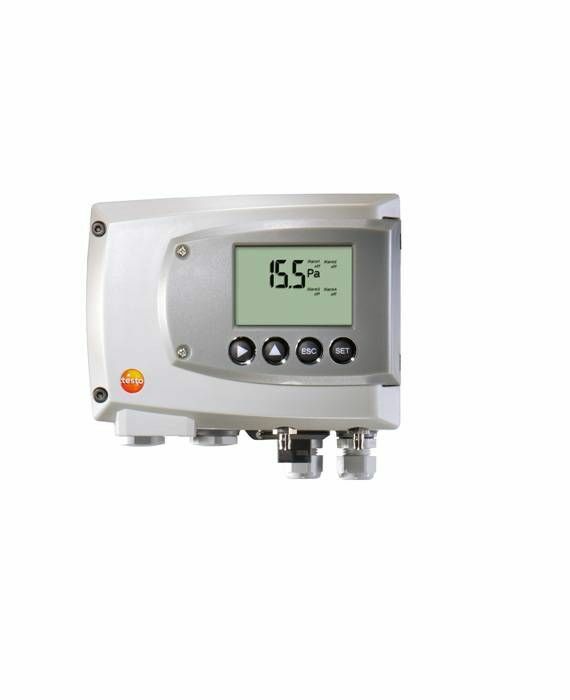 testo 6351 differential pressure transmitter depending on the chosen configuration.